One of the students reads out the not which says Kunj is desperately waiting to have his mom’s dishes and dedicated his award to his father for disciplining him. Twinkle says no one wants to hear all of those. Usha stops and says I will listen as my son wants me not to cry. She says she is proud of Kunj and Twinkle asks will they eat now? They say yes. Yuvi is out of jail and meets Surjeet. He is injured very badly, and Surjeet asks him to come with him. Yuvi asks what about his work? Surjeet says his work will be done too, and Yuvi goes with Surjeet. Pallavi asks Kunj to tell their family number so that she will call them and inform that you are here. Kunj says he doesn’t remember the number and says they live in Amritsar and asks them to find his Twinkle is she is doing ok. Guests come to Sarna family. Bunty and Bubbly say they want Twinkle to do a marriage for them. The guests try to crack some jokes with Twinkle. They ask her to do a wedding for her. Leela, Babee recommended Twinkle to take it as she will be busy with the work and Kunj will be happy seeing her. Twinkle says if you are all happy, then I will do it. She thinks she has forgotten the contract papers. She goes to the room to get them and sees Bunty and Bubbly meeting Surjeet saying they have done as he said. Twinkle gets tensed. Twinkle comes to Yuvi’s jail and asks the inspector can she talk to Yuvi? Inspector asks her to let him go or else he will make you suffer too. Twinkle goes to Yuvi, and he turns back to the wall. Twinkle asks what are you doing. Your mother has taken away Kunj from me and now want to do more by sending Surjeet with some guests to my house. Yuvi tries to say Twinkle and I ask him to turn to her and talk. Just them a man comes and says he killed Kunj. The inspector is shocked and says he has seen two killers for the first for one murder. Yuvi comes closer to the gate, and Twinkle is shocked to see Kunj all beaten up and injured very badly. Yuvi says his mother might have sent him to bring him out. 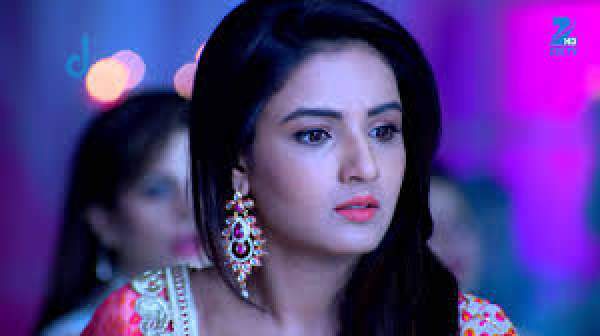 Yuvi says that man is lying and says he murdered Kunj. Twinkle thinks what is Yuvi doing as he has got a chance to go out. Stay tuned for latest Tashan e Ishq news and updates.